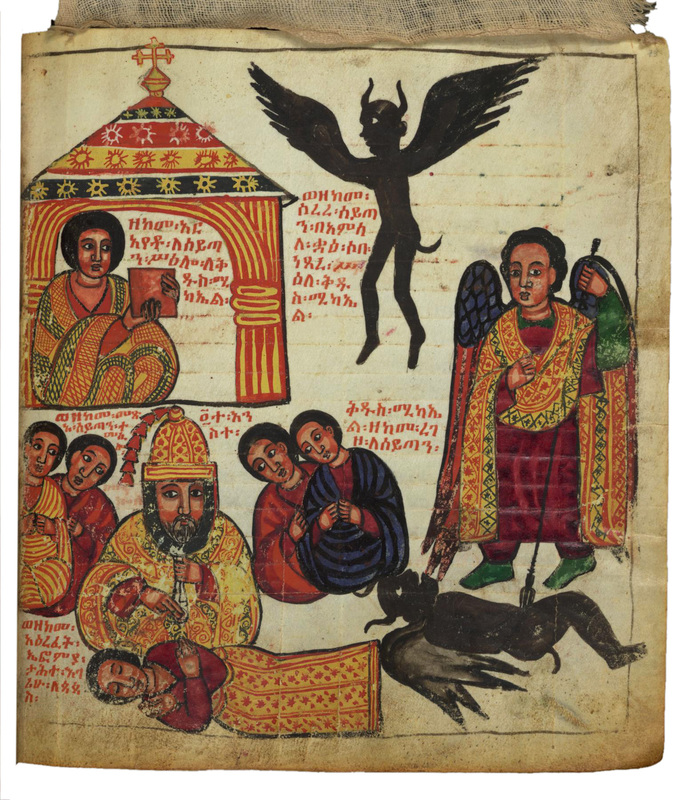 Zämänfäs Qeddus: How Satan came (again) looking like four women and St. Michael trod on him; a page from the late 17th century Gondar Homiliary. This entry was posted in Uncategorized and tagged 17th Century, Africa, Angels, Art, Books, Christianity, Ethiopia, Religion, Satan, Zämänfäs Qeddus. Bookmark the permalink.